In TZM alloy powder metallurgy method, high purity molybdenum powder uniformly mixes with TiH2 powder, ZrH2 powder and graphite powder in proportion. And then the cold isostatic pressing can consolidate these powders together. High temperature sintering occurred in a protective atmosphere obtains a TZM blank, which needs to proceed with a series of deformations. The deformations might include high temperature hot rolling or forging, high temperature annealing, medium temperature hot rolling and medium temperature annealing. In the last step, it needs to go through a hot rolling (warm forging) to obtain TZM finished products. The rolling (forging) technology of billet and the subsequent heat treatment have a significant influence on the properties, anisotropy and texture of the material. TZM alloy powder metallurgy method can save the self-consumed energy so as to simplify the working procedure, shorten the production cycle and reduce consumption. Therefore, the powder metallurgy method improves the production capacity and the yield and consequently significantly reduce the cost. Due to the substantial content of impurities in the gap, TZM alloy prepared by powder metallurgy method brings inconvenience to the use of welding or vacuum high temperature environment. The standard methods of consolidating TZM alloy are arc – casting and TZM alloy powder metallurgy method. Arc – casting method is melting pure molybdenum by the arc and add a certain amount of Ti, Zr and other alloying elements by weight percentage. Then TZM alloy was obtained by conventional casting. However, Vacuum arc melting can avoid these problems. 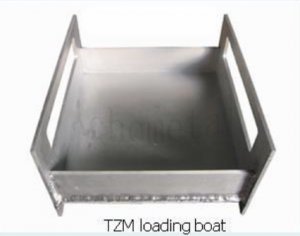 Vacuum arc melting can greatly reduce interstitial impurities in materials, but it is difficult to process TZM due to the coarse grain produced by the vacuum arc ingot. After vacuum arc-casting or powder metallurgy produced the ingot, the finished products are obtained by drawing, forging, rolling and other deformation methods. Due to the high yield strength of TZM alloy, the difficulty of plastic deformation is large. Therefore, the temperature of plastic deformation needs to increase. However, there appears a TZM alloy sediment grain boundary between 1300 ~ 1650. The precipitates make TZM alloy shows hot brittleness when the hot deformation occurs in this temperature range. Therefore, the TZM alloy’s deformation temperature need to below 1300 ℃ or higher than 1650 ℃. CHEMETAL USA is a leading molybdenum supplier and manufacturer in worldwide. 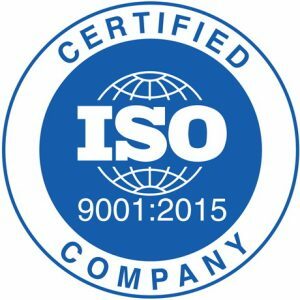 To learn more information about molybdenum TZM alloy, please check our homepage.